(CNS): The chair of the Public Accounts Committee has confirmed that he is expecting a quorum of members tomorrow morning (Thursday 6 May) to begin examining witnesses in connection with the auditor general’s most recent reports. The first item on the agenda will be the report on fuel card usage and management, aka ‘Gasboy-gate’, which revealed that as much as $500,000 of public funds could have been misappropriated as aresult of the misuse of the government’s fuel system. Ezzard Miller confirmed that witnesses were scheduled to arrive from 10am onwards and PAC would get down to asking serious questions regarding this serious report. Despite the recent headlines surrounding Dwayne Seymour’s recent arrest and Miller’s own recent complaints of PAC members failing to attend meetings, he said that he expected that at least two other members would be present to begin the necessary work on Thursday morning. The committee will also be examining witnesses on the auditor general’s report on the Legal Aid System, but the first witnesses that will be answering the committee’s questions have been called in connection to the fuel management report. The breakdown in management of this system led Dan Duguay to conclude that his office needed to do a formal report on the internal audit unit’s findings in order to draw the situation to the attention of the Legislative Assembly and the wider public. Thursday’s open PAC meeting, which takes place at the Legislative Assembly, will be the last for the current auditor general, Dan Duguay, who will be leaving the office on Friday 7 May after six years in office. Although Duguay had offered to stay in post when his second contract ended, he was asked to compete for his position. Against the backdrop of severe criticisms from the premier regarding the revelations in Duguay’s reports as well as his publicly stated intentions to follow developments regarding the port, Duguay was interviewed alongside numerous candidates from around the world. Although he was short listed by a panel consisting of the governor, a pastor and a private sector auditor, the job was given to an overseas applicant from Scotland. CNS understands that the last of Duguay’s completed reports, the updated version of the controversial State of Financial Accountability Reporting, will be examined by PAC next week, after Duguay leaves the post. The report reveals the continuing, widespread and serious delinquency of a significant number of government ministries, statutory authorities and government companies in their accountability to the people. Although the premier has openly criticised Duguay for his findings in this and a number of other reports, the departing AG remains a popular figure with the people of the Cayman Islands. In a CNS poll 73% of the 920 voters said he was doing an outstanding job. (CNS): Acting Magistrate John Furniss said he was “appalled” that the case against Sandra Catron for theft had reached the courts as he handed down his decision of no case to answer. Furniss told the court that the matter should have been sorted out between the parties long before it came there. Catron was facing theft charges in connection with a dog which she claimed she had found and rescued, believing the animal to have been abandoned. When the original owner turned up Catron asked to be reimbursed expenses she had incurred before she would return it. The owner refused and called the police and Catron was eventually arrested for theft. Acting Magistrate Furniss however, threw the case out on Wednesday morning as he made it plain he did not believe the prosecution had made a criminal case of theft and that the whole thing should never have reached as far as it did and ordered that the dog be returned to the original owner. Catron said as far as she was concerned the case was never about theft and always about the welfare of the dog which she had named Precious but the original owners knew as Delilah. 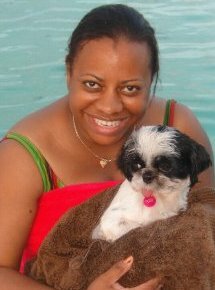 The dog which is a Shih Tzu has been housed at the department of agriculture pound since Catron was arrested in March. The owners were not in court today however, to hear that the dog had been ordered to be returned to them. Catron maintained that when she found the dog it had been neglected and was in a poor state of health. She added that the expenses she incurred were as a result of treating the animal for a number of medical conditions. Furniss made his decision following a submission by Catron, who defended herself, that there was no case to answer at the end of the crown’s evidence. (CNS): Two local therapists who have been working with 15-year-old Adryan Powell raised over $10,000 recently to help the teen battle the severe and disabling injuries he received when he was shot seven times by masked gunmen in West Bay last July. Powell is now paralysed from the waist down and a patient at Cayman Physiotherapy, where he receives treatment with physiotherapist Lindsey Macfee. As a result of his need for a variety of equipment and specialist treatment, Macfee recruited the assistance of Burdenko practitioner Dottie Rau to host a fundraiser and form the Adryan Powell Charity Fund. Rau is currently working with Adryan using water therapy and Ernest Ebanks at Body Sculptor Fitness Centre is also working with him on his upper body strength training. 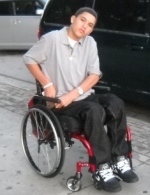 During treatment it became apparent that to accelerate progress he would need a standing frame, which is critical in this type of condition, the experts said. As a result, MacFee said she and Rau got together to host their ‘Fabulous Fundraiser’. They came up with the idea of a wardrobe exchange and emailed a group of their women friends, inviting them to donate clothes from their wardrobe that they no longer wanted and then to come and spend an evening sipping champagne and trying on and buying each other’s clothes. The response was overwhelming, not only from those donating and purchasing clothing but from various other private donations as well. On Friday 23 April between them the 75 women raised over CI$10,000 for the fund. Organisers have since learnt that BritCay is willing to cover the majority of the cost of the standing frame so the funds raised will cover any outstanding costs plus contribute towards sending Adryan to the Kennedy Krieger Institute later this year. All leftover clothing and shoes have been split between a donation to Haiti relief through Cayman’s ARK and a garage sale being held by Adryan’s mother, Tammie, to help finance her trip when she accompanies her son to the USA. MacFee and Rau offered thanks to Peta Adams, Jane Moon, Tomeaka McTaggart, Javana Broad, Leah Charles and Jennifer from True Friends for their assistance with organisation, and special thanks to Calypso Grill and all those who attended or donated for their support and generosity. Adryan and his mother expressed their heartfelt thanks to this group of women for raising such an amazing amount of money for Adryan’s rehabilitation. A bank account for the Adryan Powell Charity Fund has been set up at Fidelity Financial Centre, West Bay Road should anyone wish to make a further donation. The problems facing the Cayman economy, now seemingly intractable in nature, have been gradually building since the 1980’s. Arguably they were always very visible to those who wished to see them. It was in the mid 1980’s that the then Financial Secretary in a budget address noted that the per capita GDP of the Caymanian segment of the population was a mere 50% of the headline number, a number that statistically placed Cayman’s per capita amongst the top 10 globally. In the subsequent years we have proceeded almost blindly, with rapid unplanned growth, fueled principally by foreigners and almost solely for the benefit of foreign investors. In the process we have succeeded in creating a very unequal society. In their important new work, The Spirit Level: Why More Equal Societies Almost Always Do Better, the authors Richard Wilkinson and Kate Pickett present very persuasive empirical evidence to support the assertion that material well being notwithstanding, more unequal societies exhibit lower levels of trust, a greater disposition to violence and higher incidences of illnesses, primarily amongst the lower socio-economic groupings. On the evidence available, it is arguable and regrettably so, that these threecharacteristics are amongst the most discernable features of 21st century Caymanian society. As we grapple to find suitable approaches to dealing with the mounting problems confronting us as a society, the self-interested policy makers and the shameless plutocrats, who continue to guide the decision making process meekly implemented by the political classes, remain wholly wedded to the very policies that have served to bring us to this sorry state. As they see it, our “salvation” lies in a. our ability to attract more wealthy foreign investors (how many and when will we arrive at the optimal quota of such persons, relative to the 35,000/36,000 Caymanians?) b. transferring the ownership of public assets into the hands of rapacious wealthy individuals (where these are local, they are drawn from the same self-interested policy advisers and shameless plutocrats who design the policies) and c. a dramatic increase in the use of state force apparatus to control the lower socio-economic groups. At best this combination of tried and tested status-quo maintaining actions will deliver but a temporary respite. The deep seated societal malaise that is the natural byproduct of the trickle down economic theories that have been the mantra of each and every administration for the past 30 years is unlikely to be cured even if the current administration succeeds in balancing the budget in the current fiscal year, by way of this cocktail of trickle down policies. Sustainable development , a measure that is more than mere GDP measurement, will become possible when those who have the responsibility to lead, recognize the need for the introduction of transformational policies, policies that are geared towards ensuring that the benefits of the economic activities we facilitate and foster lend themselves towards the promotion of more equitable societies both domestically and globally. (BBC): Parents should be banned from smacking their children, the deputy head of the Council of Europe has said. Maud de Boer-Buquicchio said a ban on physical chastisement would improve parenting skills. Parents at present can smack their children for the purposes of "reasonable" punishment. Attempts by some MPs and charities to introduce an all-out ban on smacking have so far failed. Smacking is not permitted in schools in the UK. Ms de Boer-Buquicchio, in a letter to the Daily Telegraph, has now joined the debate to express her view that it is not wrong for the state to interfere over this aspect of family life. (CNS): With the Atlantic storm season less than one month away the National Hazard Management Council (NHMC) met on Tuesday, afternoon (4 May) for its annual pre-season preparation and hurricane drill. This season has been predicted to be a busy one with some storm experts pointing to 2005 as a comparative year. In readiness for whatever 2010 brings, the team were responding to the threat of ‘Hurricane Dan’ – the subject of this year’s hurricane preparedness exercise. 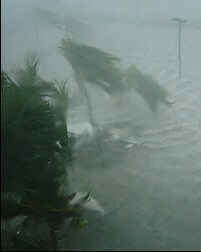 Under the 2010 scenario, ‘Hurricane Dan’ has entered the Caribbean Sea and is a possible threat to the Cayman Islands. The ‘storm’ scenario will continue throughout today Wednesday when an NEOC tabletop exercise designed to test readiness plans is activated. Government buildings will also be shuttered and generators tested. The exercise involves senior officials, including Deputy Governor and NHMC Chairman Donovan Ebanks, as well as representatives of HMCI and other essential services. According to the latest predictions from storm experts the 2010 Atlantic hurricane season may rival some of the worst in history as meteorological conditions mirror 2005, the record-breaking year that spawned New Orleans- wrecking Katrina. Sea temperatures from the Cape Verde Islands to the Caribbean, where the storms usually develop, are above normal and reaching records in some areas. Predictions currently stand at 14 to 18 named storms. Each year, the Miami-based National Hurricane Center urges everyone living along the Atlantic and Gulf coasts to prepare for a storm strike. It’s very important to note that a seasonal outlook cannot forecast where and when storms will form, let alone if or where they will make landfall and at what strength,” Dennis Feltgen, a spokesman said. 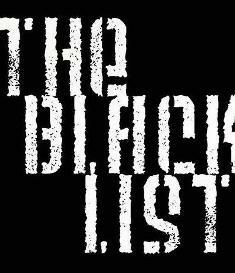 (CNS): As financial experts here have often argued, no sooner is the Cayman Islands removed from one ‘black list’ than another one looms. Reports in the international media regarding proposed legislation in Europe to regulate the hedge fund industry could see Cayman at the top of a new black list of countries that would be off-limits to EU investors. Accordingto reports in the Wall Street Journal, lawmakers in the European Union are close to passing legislation that would prevent European investors from putting money into a hedge fund domiciled in certain offshore tax havens, in particular Cayman, where it is believed a significant number of funds have a registered entity. The paper reports that the proposal would require European authorities to create a "black list" of countries, with European investors being prohibited from sending their money to funds based in those countries. To escape the list, countries would have to satisfy a list of as yet undisclosed criteria. Countries would have to satisfy a list of four or five criteria, Jean-Paul Gauzès, the French politician who is leading debate on the legislation, told WSJ. 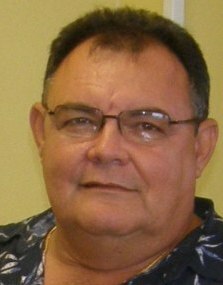 Gauzès said in a telephone interview that he wasn’t sure whether the Cayman Islands would now be placed on a black list. But, he said, the country could easily take steps to ensure it isn’t on the list by the time the legislation enters into force in 2012. "If the Cayman Islands doesn’t satisfy these conditions, then this is really a country that deserves to be on the black list," Gauzès reportedly said. To avoid the black list, countries must have regulations against money laundering and terrorism financing, a deal to share information with EU regulators, laws ensuring access for EU-based depositories and tax agreements with EU nations based on conventions developed by the Organization for Economic Cooperation and Development. The Cayman Islands recently signed its 16th TIEA having already met the OECD criteria and being promoted to its ‘white list’ last year. At the time a number of local pundits pointed out that once Cayman had been removed from one grey or black list it would not be long before another one came along. McKeeva Bush told the Legislative Assembly last week that the buffer plan had been as a result of a request from the Department of the Environment to protect the pond from run-off but gave no reason why the government has decided it would no longer be taking the DoE’s advice to protect what is considered by many as a crucial wildlife eco-system. With no environmental protection in Cayman from development, the DoE has had to use land acquisition to fight a losing battle to preserve Grand Cayman’s dwindling natural resources. Given the importance of Malportas pond to hundreds of wetland bird species, not least the Whistling Duck, the DoE had advised government to try and acquire land around the area to create a three hundred foot buffer zone to protect the future of the pond, which government owns, and the wildlife using it. According to information from the DoE, run-off was only one of the threats to the future of this wildlife area. Research conducted by the department revealed that, as more subdivisions were being planned, it was clear the connected wetland area was under severe threat, which is where a host of birds feed and nest. The buffer would have controlled the run-off of nutrients, sediment and other potential contaminants from developed properties, which can contribute to eutrophication- -excessive plant growth from nutrients and general pollution of the pond. The protected zone would also have provided a functional area of habitat for birds and other wildlife currently existing there. It would have maintained flood protection services and natural storm water management for surrounding properties and provided a physical barrier to reduce disturbance of wildlife (especially waterfowl). Aside from retaining the aesthetic value of the pond through preservation of natural fringing vegetation, the DoE said it would have moderated the impact of development on the established ecosystem and diversity of native flora, both wetland and shrubland species. Although there are no set guidelines from experts on the size of buffer zones to protect wetlands, the DoE had undertaken comparative research work with areas applicable to the conditions of Malportas Pond, such as Florida, which has similar vegetation communities. Buffer zones vary in size and nature depending upon the specific purpose for which they are created but the minimum buffers in order to protect just the pond would be around 200 feet, and in order to attempt to protect the full area the buffer would need to be over 650feet. The DoE had recommended the 300 feet zone with the hope of mitigating the impact on the surrounding wetland and hopefully saving the pond and associated wildlife. With no restrictions now on development, this important bird habitat is at risk. For many years local farmer William (Willie) Ebanks has devoted enormous time and effort to aiding the recovery of the West Indian Whistling Duck, Cayman’s only native duck, which is a vulnerable species. 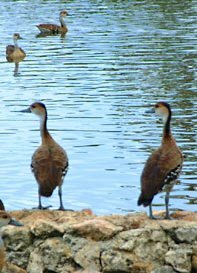 Starting with a pair of ducks and seven chicks in 1990, Ebanks now supports over 500 wild Whistling Ducks. The pond is also an important site for hundreds of herons, egrets, moorhens, and coots, as well as osprey and even peregrine falcons in the winter months. The pond, which could now be changed irrevocably or lost altogether, was an important natural area which until very recently was surrounded by largely undisturbed land. Vote in the CNS online poll: Are you in favour of a conservation law? (CNS):Members of the Cayman Islands Civil Service Association have said that no decisions have been given to them by the Deputy Governor’s Office regarding what will happen to civil service salaries, benefits, working hours or jobs in the next budget year. 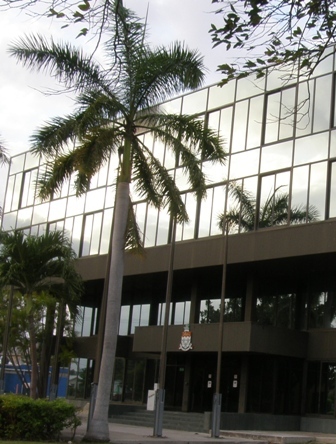 Cabinet issued a directive to the public sector management that civil service human resource costs needed to be reduced by $19 million in the fiscal year 2010/11. Following its recent annual general meeting the association confirmed it had offered a 4 percent salary reduction via unpaid leave and was wiling to discuss how to reduce government’s health insurance costs but had not yet been told what government’s decision on the cuts was. With the uncertainty surrounding the careers of many of its members, the association said it has also decided to recruit the services of a lawyer to assist with representation for members on employment and contract related issues, which still remain in the balance. The new management council of the CICSA has also pledged to take a stronger stance on the many issues facing its membership to get problems addressed properly by the relevant parties, including the deputy governor and governor. CNS understands that, following government’s decisions to change the law in order to delay the delivery of the budget, the civil service management has now been given until the end of this week to finalize where the $19million will be trimmed from personnel costs. Some members of the Civil service Association said they were not expecting government to accept the 4% cut and believe there is not necessarily going to be equitable cuts throughout the various ministries and departments, but they are unsure where things were headed. CNS understand that there are already concerns within departments that in some areas where there could be room for head counts to be cut without seriously impacting services, in others where staff levels are already tight it will be salaries that are cut, meaning that there could be cases of some public servants facing wage reductions while their pay grade piers retain their full salaries. However, there is as yet no certainty on where and what will be cut. The CICSA said on Tuesday that it could not comment directly on the current situation as nothing had been shown to its management team for comment and that members were fairly certain that the consultation period was at an end. The next stage for the CICSA would be when the decision on what would be cut was presented to them so they could distribute the information among the wider membership. The association also remains concerned about headcount cuts and the expectation of delivering services. Although the Deputy Governor’s office, as the executive arm of government, has jurisdiction over civil service numbers the problem, according to the CICSA, is that Cabinet still has the ultimate decision on policy and therefore job cuts cannot be made in isolation. Should head counts be cut, the association said, it will impact the ability of some government departments to deliver the services associated with government’s policy decisions. In other words, if staff levels are to be reduced civil service management will still require directions from Cabinet on which services it wishes to cut if there are not enough people to deliver all the services of a given department. While decisions are being made in conjunction with Cabinet on operational expenditure, CICSA states that head counts are directly related to the services delivered and they will also need to be with the approval of Cabinet as government will likely need to make policy adjustmentsto fit a smaller public sector body. 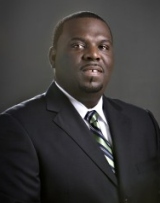 (CNS): Following yesterday’s revelations that MLA Dwayne Seymour had been arrested by police over the weekend in connection with an assault (that CNS now understands occurred at Grand Cayman Beach Suites), one of the men involved claims the politician assaulted him. News 27 reported this evening that Garrone Yap (left), a Florida based personal trainer, told the television news station that he was waiting for a female friend on Saturday evening at the hotel when Seymour appeared with a friend and assaulted him. Yap says he reported the attack to the police, who also arrested him. Yap spoke to the station by telephone and said that he was released without charge after his arrest but claims Seymour abused his powers as an MLA to have him arrested. Police confirmed yesterday that an assault involving three men had taken place at a Seven Mile Beach resort, which the RCIPS had named the Cayman Reef Beach Resort. CNS confirmed today that this was in fact Grand Cayman Beach Suites. Police had said yesterday that two men were treated in hospital but all three were held by police until Monday evening, when one was released from custody while two others were released on police bail. According to Yap, he was the one released from custody and Seymour and his friend were released on police bail, but he will not be pressing charges.